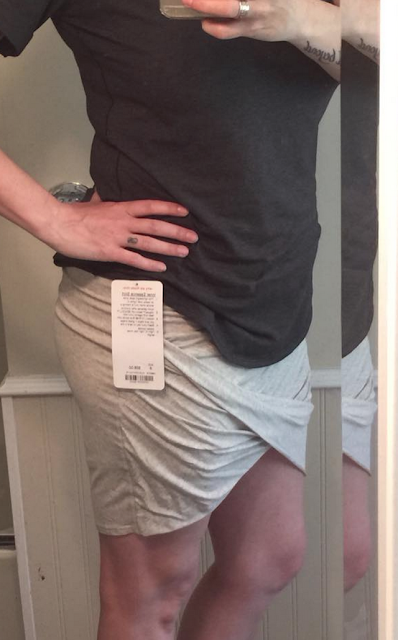 Thanks to reader Ms. R for sharing her fit photos of the Inner Essence Skirt. She loves it and got it in all three colors and is convincing me to get the black one I liked this morning. 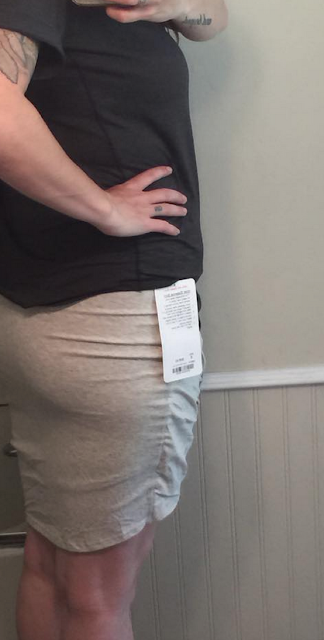 This is her TTS 8 for Lulu skirts although she wears size 6 in Wunder Unders. "Product Drop Monday: Om Pant, All You Need Crop, Hit Your Stride Skirt, New All Sport Support Tank Colors"
"Be Free Runsie, Om Pant, New Bra"
The above which is an oatmeal/heathered white (not sure the exact color), a heathered black and a heathered navy. 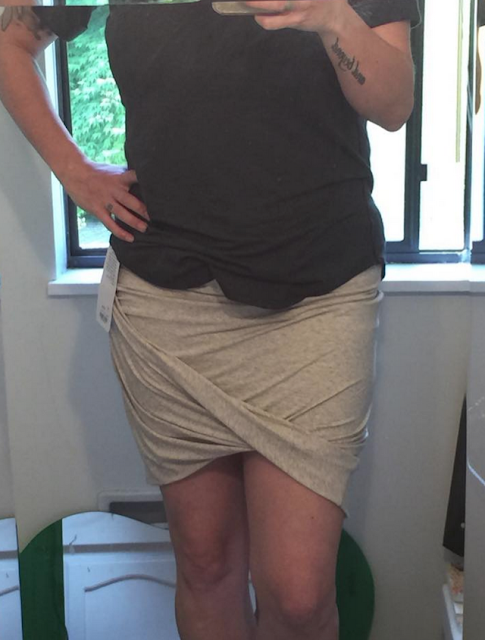 This looks like it had the potential to be a good work type skirt. But, as I'm a teacher but the 'v' seems to be cut a bit too short and shows too much above the knee leg. Also the band, so not a fan. Thanks for the pictures and forwards, ultimately it will be a pass for me. I actually scooped this up on clearance at my local NJ store, marked down from $58 to $39. I agree with the other posters that the V in front is NSFW–or much else. However, I solved the problem by simply spinning the skirt around so the V is in the back! It looks fine that way and no risk of unintended vajayjay sightings! It's super comfortable and looks great as a summer bottom with a pretty cami on top when I go out to see live music or what have you.